Micromessages come in various forms, such as gestures, facial expressions, tones of voice, word choices, eye contact, and interactive nuances. They can be either debilitating or empowering to one’s leadership effectiveness. Micromessaging examines how unconscious bias is converted into tangible form and influences the ways people are either enabled, or impeded, to perform to their full potential. It reveals the nuanced behaviors we all use and react to in our dealings with others--which expose our unconscious biases. 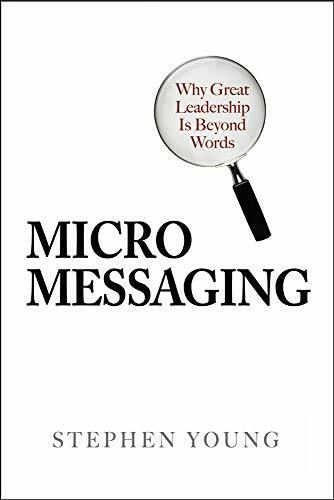 Micromessaging teaches readers how to become aware of these messages and how to constructively address these behaviors to drive positive change in their workplace. Unconscious bias is an intangible state of mind--a concept. One cannot DO an unconscious bias. The only way it is manifested is through the micromessages we send. Micromessaging reveals the solution and the tools to alter the impact of our unconscious bias; managing the Micromessages, MicroInequities and MicroAdvantages to drive change. 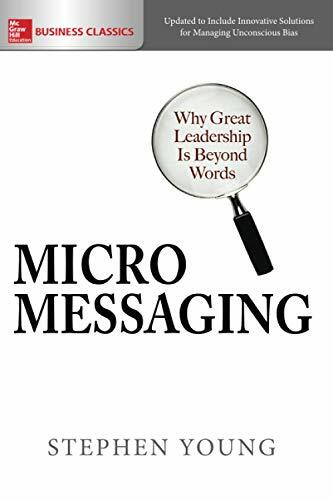 Micromessaging provides everything you need to know to use micromessages in a constructive way to drive positive change and build your leadership profile. A blank look, an averted gaze, or a dismissive shrug . . . we all know how other people's nonverbal cues can make us feel, even if they are delivered or received without conscious awareness. But do you know the ways in which these subtle behaviors can define your ability to influence the performance of others for better-or worse?